Over the last few years, the business world has become enamoured with the idea of enabling sales teams. Out of this interest has come a more complete view of how to prepare sales teams for success. Training is no longer enough on its own. 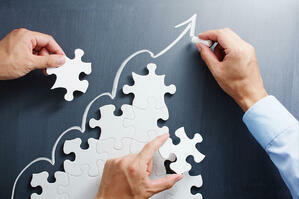 Enablement refers to a series of activities you perform to enhance your sales team’s success. It includes training, learning, and development, but it doesn’t stop there. It also includes the tools and techniques you use, along with other supports you provide, such as content. As the concept has become more popular, however, some people have started to question whether it really works. Are these programs worth it? The core argument behind introducing enablement efforts into your business is that it will empower sales to achieve more. The idea is that with the right tools, training, and support, sales professionals can do more. Enablement goes beyond offering a one-day training program. Instead, it offers your team members continuous learning opportunities, and it supports them with the right tools and tech. You also support the sales team with the right content. This could mean new strategy documents, buyer profiles, or even blog posts and infographics to entice customers. You may provide them with easy ways to qualify leads or tips on how to do research. A well-organized and executed enablement program works holistically to ensure sales people have what they need every step of the way. It’s also customized to the needs of your organization and reps. The core ideas powering enablement programs sound good in theory. But do they actually work? So far, the numbers say yes. Teams using sales enablement are more likely to achieve their sales quotas, and they’re more likely to do so on a regular basis. They’re also more likely to employ more effective sales techniques and tactics. In turn, they net more responses to their sales efforts. It’s been estimated sales enablement programs can increase revenue by 25 percent. They also improve close rates by nearly 70 percent.Sales productivity also increases. Increasing your revenue by a quarter and improving close rates, team member productivity, and sales quota achievements sound good. How much will it cost you to achieve these goals? Budgets have been increasing over the last few years. 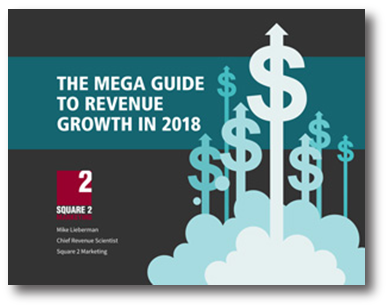 In 2017, the average sales and marketing budget was going to rise to around 12 or 13 percent of revenue. Much of the increase was earmarked for enablement strategies. Traditionally, budgets in sales and marketing are around 10 percent of revenue. Can you justify spending an extra two or three percent? The answer is almost certainly yes for most companies. That two or three percent increase can translate into a 25 percent rise in revenue. Your net increase would be around 22 or 23 percent. That leaves aside additional benefits, like higher sales team productivity. It’s easy to see the ROI of a sales enablement program can be quite high. Another reason business owners may be investing more in their sales enablement efforts is that it’s time to modernize them. The old techniques and tactics aren’t working any longer. The gains of sales enablement will keep paying dividends. If you haven’t already invested in an enablement program for your business, it might be time.